It’s easy to assume that with fewer bicyclists on the roads Bike Cleveland might slow down when the temperature drops. In fact, the cycling advocacy group is in the midst of a busy month with its 2018 Strategic Summit and Cranksgiving Cleveland events. 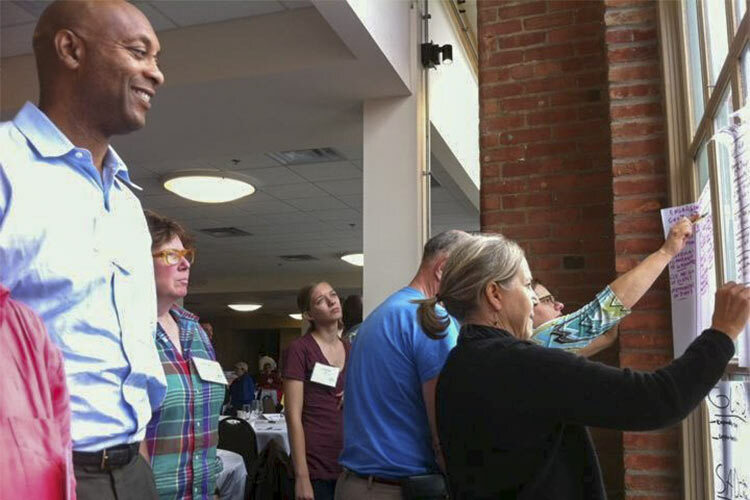 Held every five years, the Summit took place on Sunday, November 11, at the newly-restored LaSalle Arts and Media Center in Collinwood. The results of Bike Cleveland's recent Strategic Plan Survey were a focal point of conversation—such as the desire for more protected bike lanes and bike/pedestrian-friendly policies. The group's momentum will continue this Saturday, November 17, with plans to give back to the community in another way: the 7th annual Cranksgiving. This year's event will be held in Euclid—inviting cyclists to bike around the city and buy groceries at local stores as part of a two-wheeled food drive to benefit the Euclid Hunger Center. While the event had humble beginnings—around 30 people attended the first—last year saw around 100 riders collect about $4,000 worth of food donated to an area hunger center. 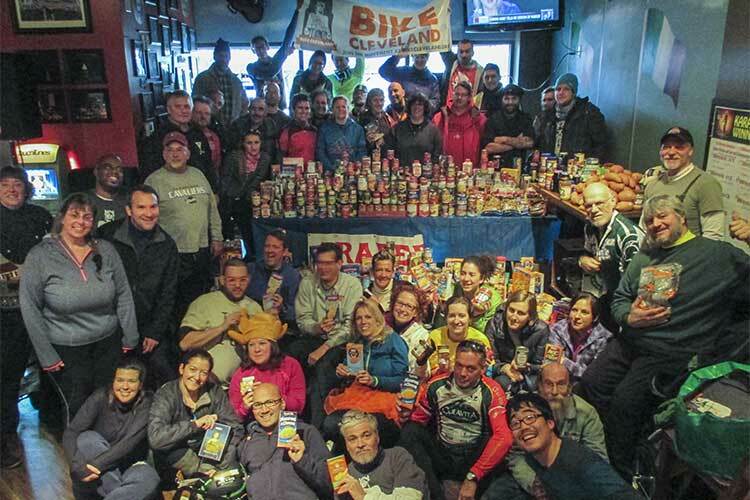 This spirit of giving back to the community seems to be the backbone of Bike Cleveland’s vision for Cleveland. They’re even looking into how walking intersects with biking. To learn more about how to get involved in this weekend's Cranksgiving event, click here.